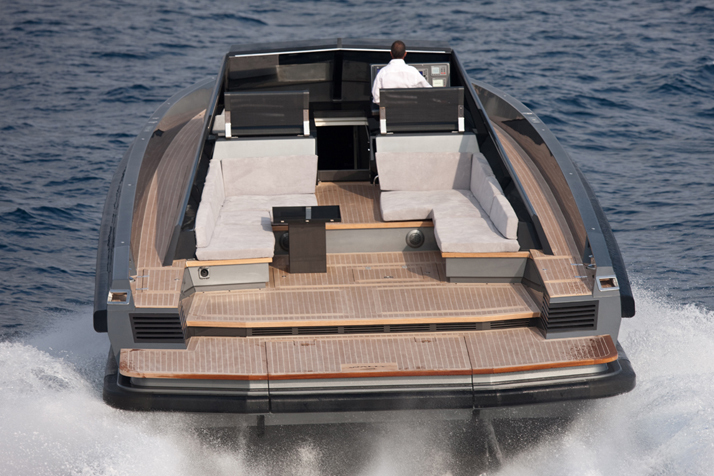 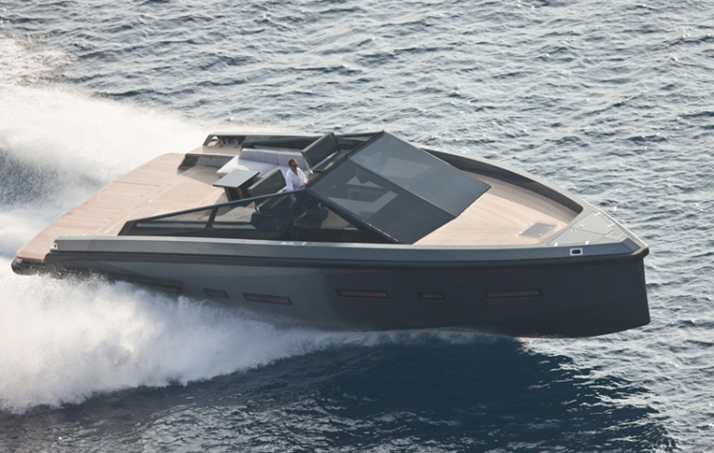 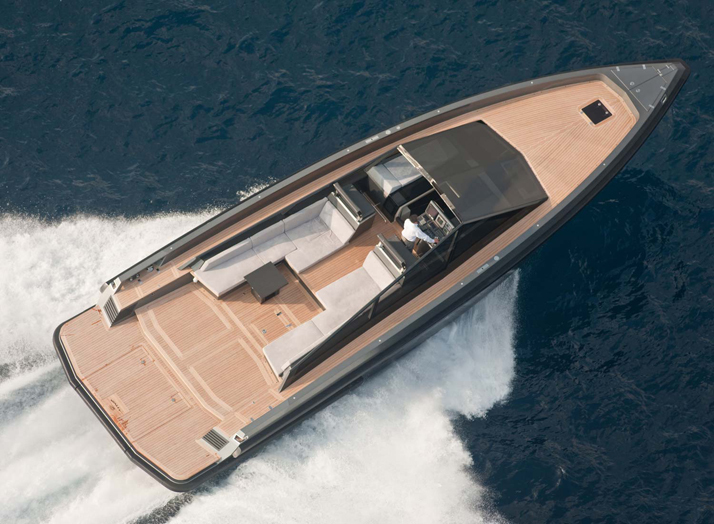 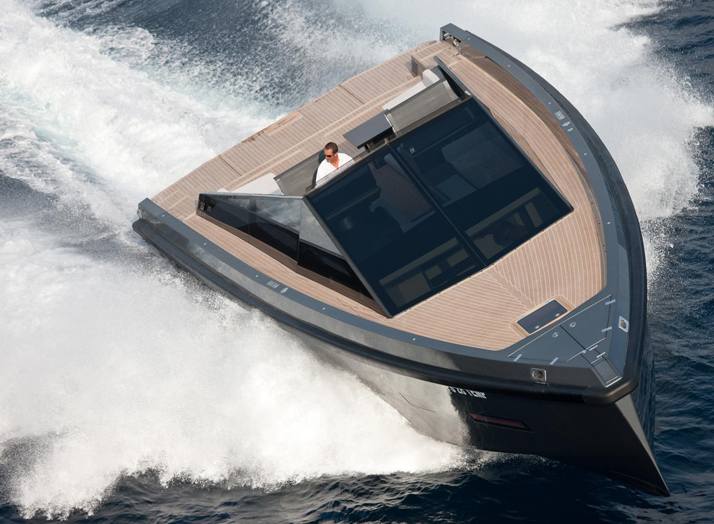 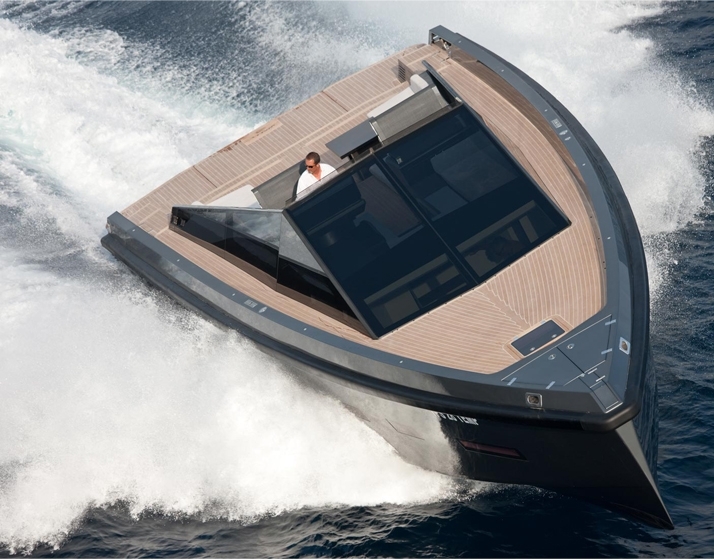 Its lines are overtly sporty and it has four powerful but efficient Volvo IPS600 engines, giving a top speed of 40 knots. 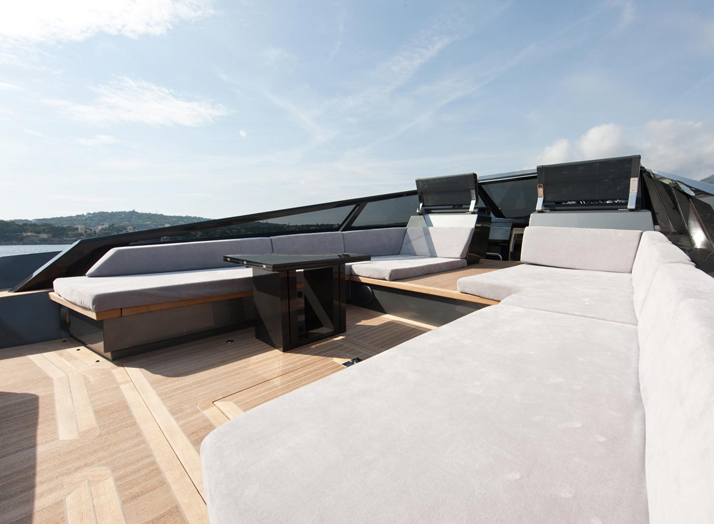 While you enjoy the pure performance, your guests can stretch out on the plentiful seats and daybeds on the unusually generous deck space, sheltered by the oversized wraparound windscreen. 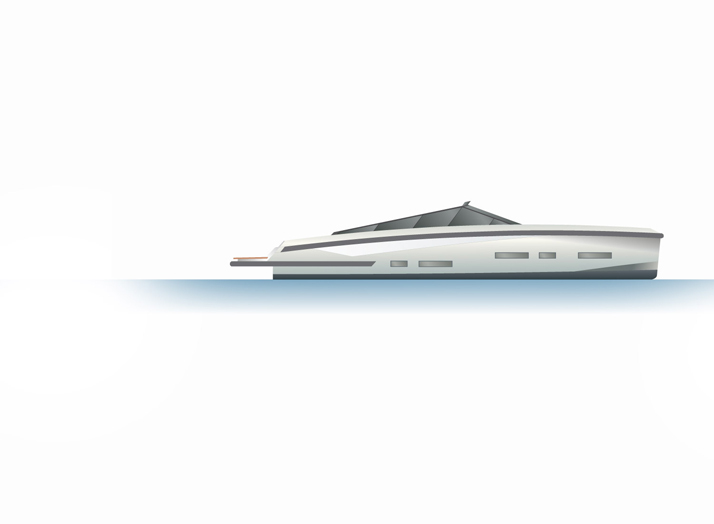 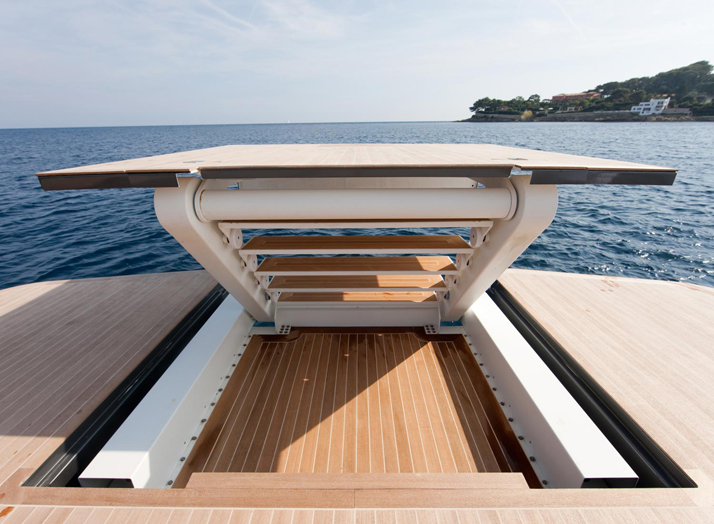 The Wally//55 has a hydraulic swim ladder (which doubles as a ‘passerelle’) making it a wonderful place to chill out by the sea. 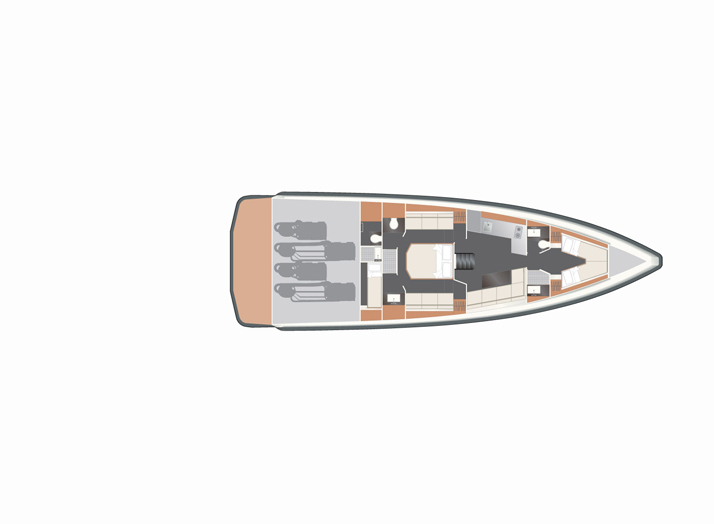 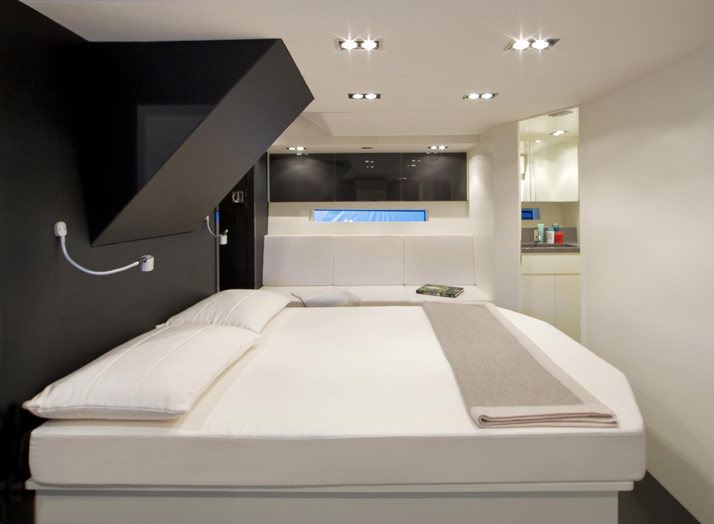 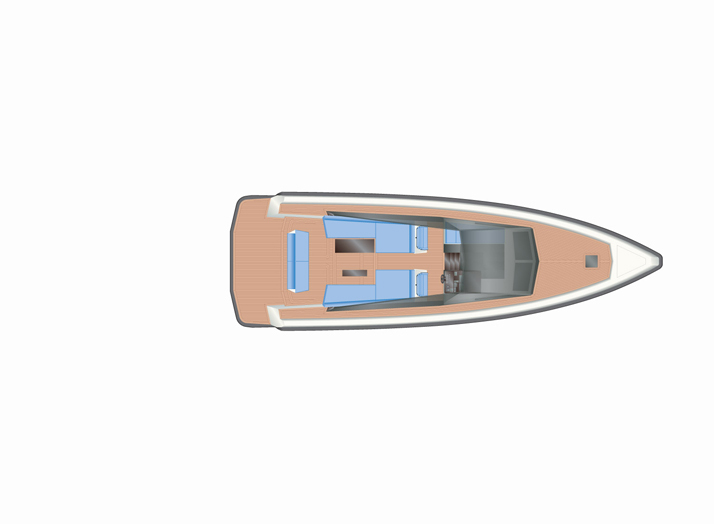 The spacious interior, available with either two or three cabins, offers the perfect retreat when the sun goes down.